Besides the famous hiking trails in Cinque Terre, also Lake Como offers some of the most stunning hiking paths in Italy. 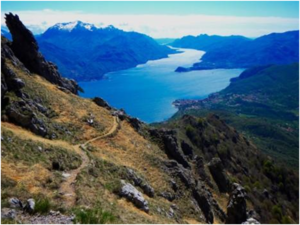 Here there are some examples of the best hiking in Lake Como Italy. The UNESCO site Cinque Terre is a world-famous place to enjoy nature, sea and do some hiking. In fact there are many footpaths like “Sentiero Azzurro”, Blue Path, which stretches along the coast and allows to discover all the five villages by walking 5 hours. Another interesting path is the Red Path “Sentiero Rosso”, which goes from Portovenere to Levanto. The Blue Path is the easiest one and the most charming as people walk and have a stunning view of the sea. However, it is a UNESCO site, visitors must purchase a card which allows them to walk along the path and the money goes for the preservation of the area. There is another region in Italy which deserves more consideration from hikers and it is our beautiful Lake Como. In fact, there are many paths which will surprise tourists with amazing lake views from the top of the mountains. 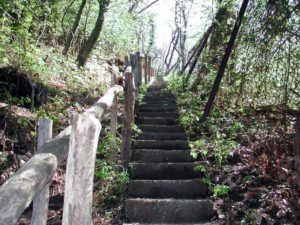 Here are some suggestions of the best hiking paths you can try around Lake Como. The first one is in the northern part of the Lake, in Alto Lario: the path going to the Piona Abbey. It is a very easy path with cobblestone roads and labyrinths in the forest which brings you to a stunning natural balcony with lake view. The final destination is, however, the ancient Abbey with a cave hosting the statue of Holy Mary of Lourdes. You can visit the Abbey for free and have a rest on the benches admiring the wonderful panorama. View of Lake Como from Monte Grona. The second path is above the town of Menaggio and brings you to Monte Grona (1736 m s.l), where one can see one of the best views of the Alps and of the lakes: Lake Como, Lake Piano and Lake Lugano in Switzerland. One of the easiest ways to reach the top is starting from Breglia (749 m) and reach Hut Menaggio (Rifugio Menaggio). From here you need only 1:30 hrs to reach the top of the mountain. 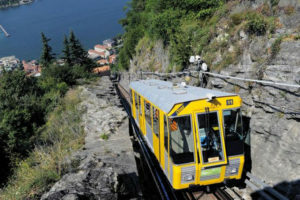 The third suggestion is close to the city of Como and is the easiest of the three as you just have to take a funicular to be able to enjoy the panorama from above: it is the Brunate funicular. The funicular is a sort of train existing since 1894 and links Como to the village of Brunate, which was a holiday destination for rich families from Milan and Como, who build many Art Nouveau style villas. From Brunate you can see the Alps and the area of Milan. 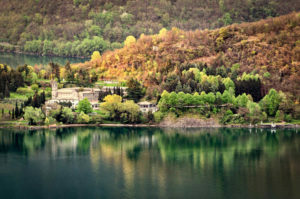 Slow Lake Como offers an interesting excursion of Brunate for families or groups. Our expert guides will guide you from the city center of Como to the station of the funicular to Brunate and from here there will be a walking excursion to reach Mount Piatto, where there is an amazing viewpoint. Continuing the path, you will see one of the strangest sites called Pietra Pendula and visit the small village of Piazzaga with the mysterious stone tombs. The descent is toward the picturesque village of Torno and from here we will come back to Como by boat. Another curious trail is the one called Lake Como Rebels, War and Smuggling. As Como is close to the border of Switzerland, there is a history of smuggling with trenches and hiding places close to the city center. This excursion will guide you to the Spina Verde Park, the perfect place to learn about the tricks used from smugglers to escape the guards. 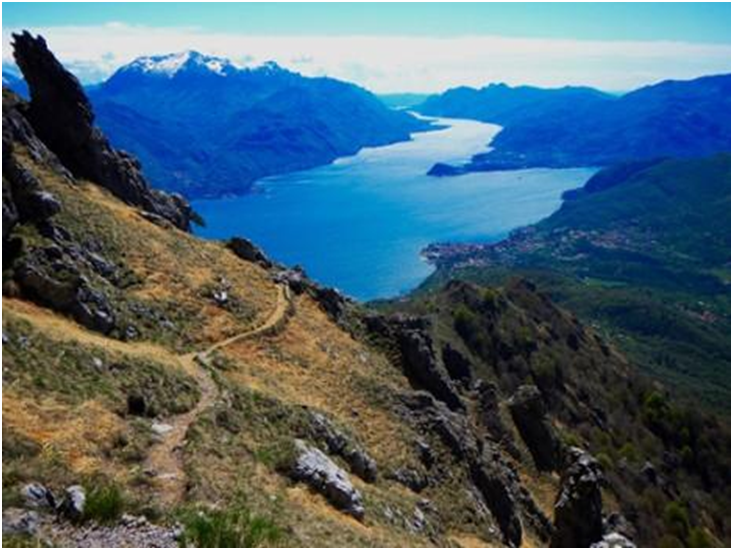 Overall, Lake Como offers wonderful hiking paths which still keep its charm with unspoiled nature and no mass tourism. It is an ideal place for hike lovers who crave for high altitudes, but also for families with children as there are many easy paths along the lake. If you want a place where you can enjoy nature and at the same time relax and get to know the secrets and curiosities of Lake Como, try one of our guided excursions with experts who will reveal you the most interesting facts and know the best viewpoints to enjoy and relax the lake. info@slowlakecomo.com mobile +39 392 027 9675.